On Saturday we drove out to Kraynak’s to see their Christmasland tree display. 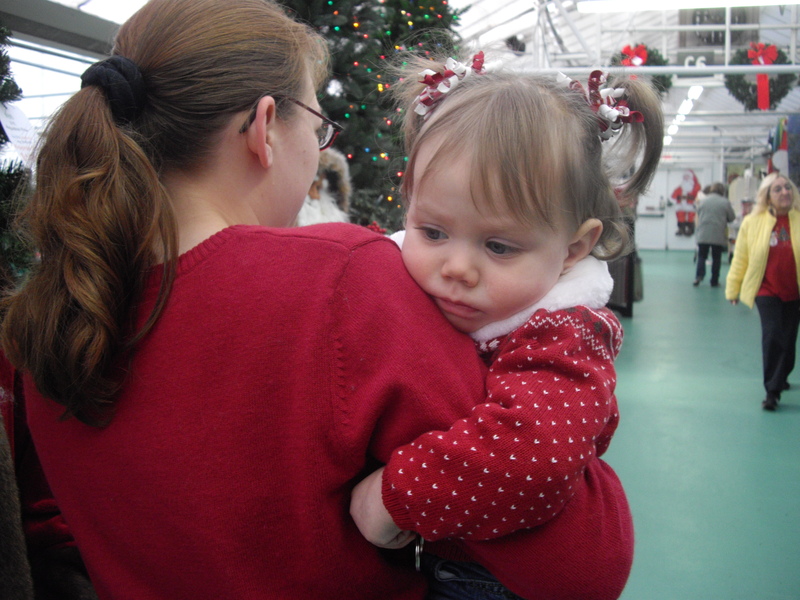 While we were there we took Adaline to see Santa Claus. 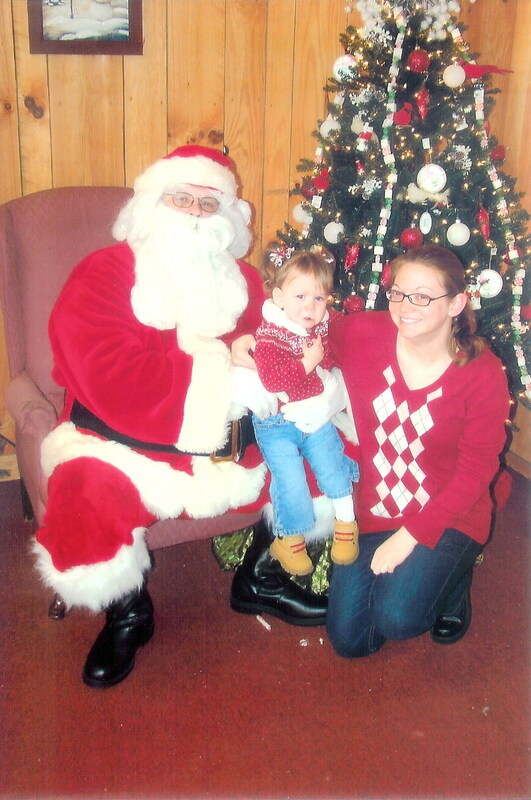 She was fine with Santa from afar until I tried to hand her over to him. Check out the thumbnails for the progression of torture. Post Santa trauma. Not letting go of Mommy. And lastly, proof-positive that I’ve probably scarred her for life. Yes. She’s licking the ornaments on the tree. 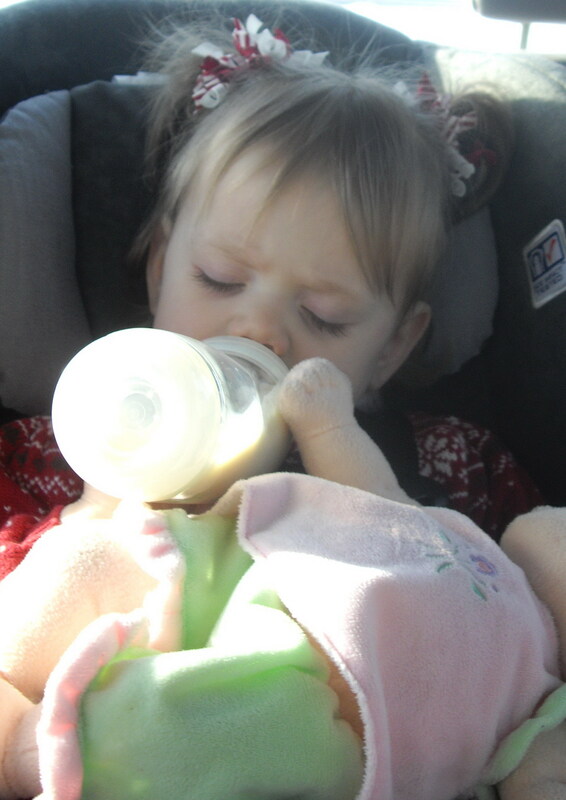 Posted on December 15, 2010, in Christmas, Holidays, Humor, Santa Photos, Traditions, Wordless-ful Wednesday and tagged Children, Christmas, Holidays, photos, Santa, tradition, Wordless Wednesday. Bookmark the permalink. 18 Comments. That first Santa is fantastic! Wow. He looks so real. You daughter is adorable, even when she is freaking out. And especially when she is tasting the ornaments. Kids are very weird. Then again I’m not so normal myself! Yours looks great! I hope that ornament tasted good! I’m surprised she hasn’t torn it apart but she almost studies it in a way, which is strange considering she practically rips my mom’s ears off trying to get to her earrings. 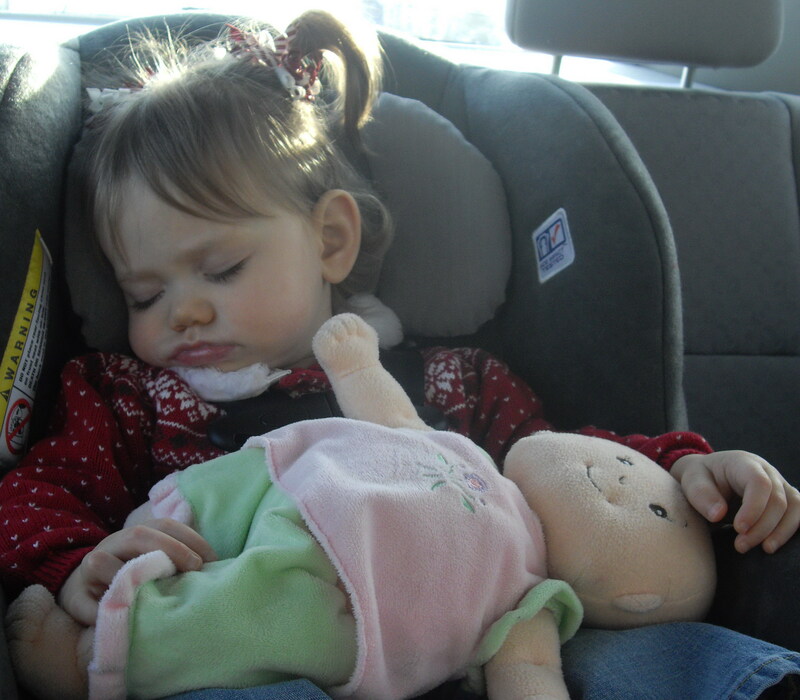 I’m guessing the ornament was delightful…she kept going back for more! Oh! She is the cutest little thing. Love the pictures leading up to it. Funny as can be : ) I love pigtails on little girls. It is my favorite. Such a traumatic day…(smile). And the ornaments do look good enough to eat! I’m surprised that kids don’t try to climb the tree too! Thankfully she hasn’t tried to climb the tree! For the most part she leaves the ornaments alone too, I’m shocked! Hahahahahaha!!! I love the picture of her licking the ornament. What darling pajamas! She is so adorable. Yeah, I suppose most mom’s would run to get the ornament out of the kids mouth…I ran for my camera 😉 I got those cute jammies at the Children’s Place on clearance last year. She is a cutie, thanks! 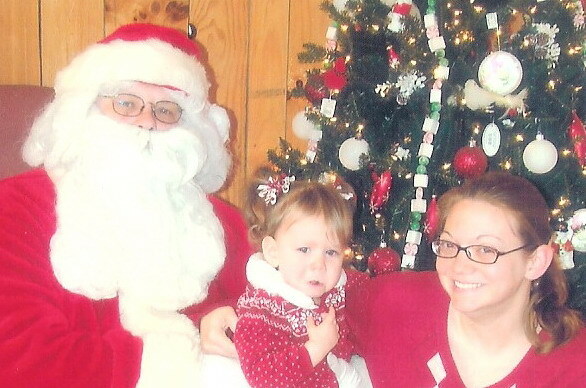 Your daughter is adorable and you look cute too with the picture with Santa! Thanks, Ginna! I really didn’t plan on getting my picture taken, but the kid had a death grip on my arm. No she didn’t! 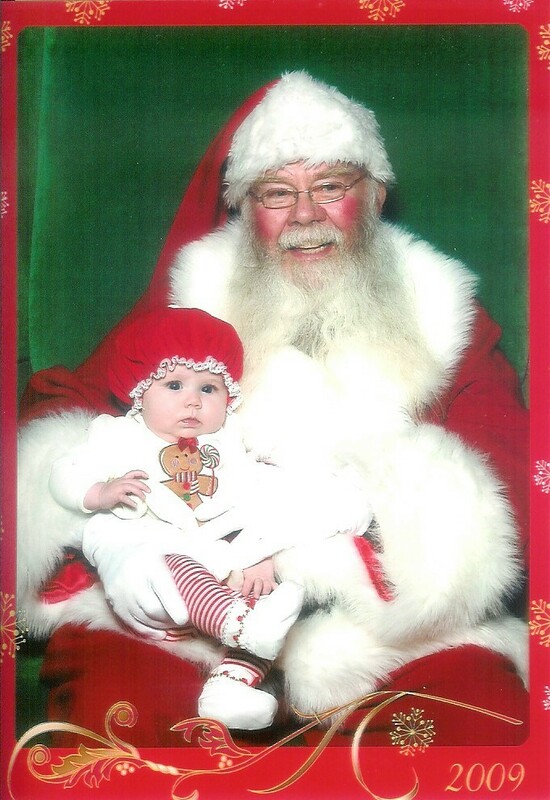 And I’m so terrible that I took her to the mall today to get her photo taken with another Santa (the one in the first picture who is obviously the real Santa), so that her cousin could get his photo taken too. I’m a terribly mean mama! She is SO cute. I love that last shot of her licking the ornaments, lol. With your permission, I would love to use it in a Christmas video I am putting together over at my blog. You can use the photo. Just credit my blog/url and first name “Jenn” if you need it.